88 days after the Italian parliamentary election, and an episode of exceptional financial market stress, the Five Star Movement (M5S) and the Lega have sealed their governing alliance. Significant uncertainty remains however regarding the political and economic outlook. 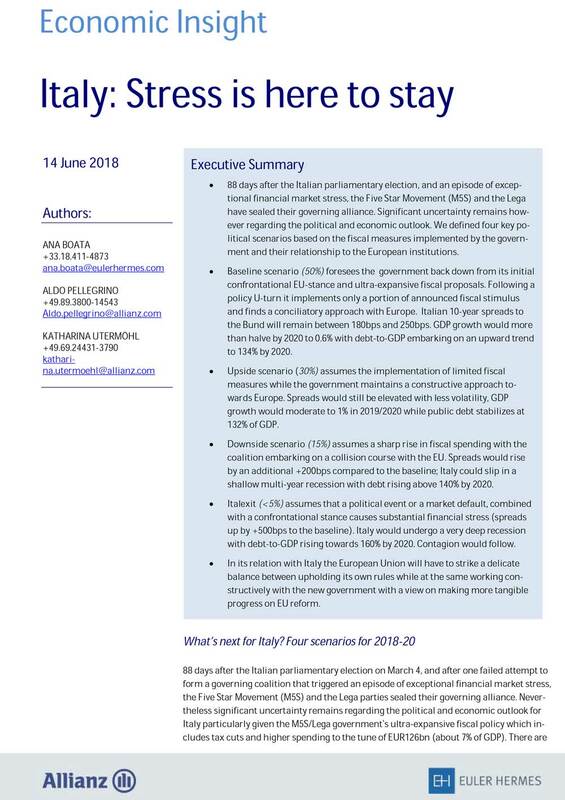 We defined four key political scenarios based on the fiscal measures implemented by the govern-ment and their relationship to the European institutions.